On these beautiful Spring days the kids arrive home from school starving from all of the running around they’re doing on recess. I’ve taken to trying out a smoothie recipe almost every evening and am sharing our favourites with friends by the pool and all of you here. Smoothies have become very popular at our Spring gatherings! 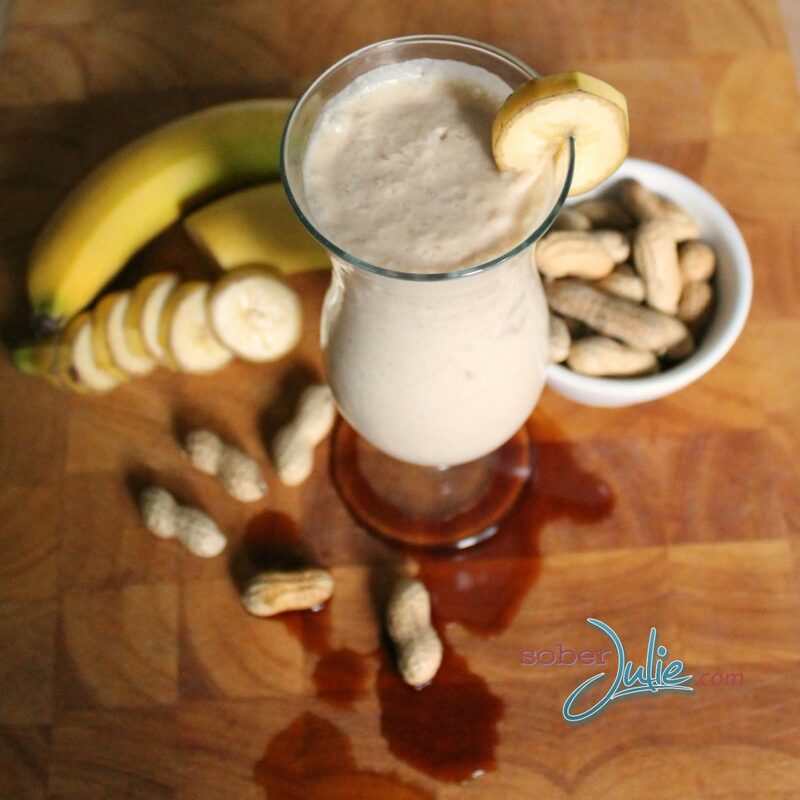 Not long ago I shared my Cocoa Peanut Butter & Banana smoothie recipe which went over well both online and in our house. Tonight the kids asked for it but we had some fun and after a few trials we came up with a new smoothie recipe. It was really fun to let the kids loose in the kitchen to chose the ingredients, there were some questionable choices such as pickles which I simply had to veto. I am very messy in the kitchen and inevitably there are recipe fails, thus I love snapping photos with a more messy look to them. Hope you enjoy! Feel free to PIN my Smoothie Recipe! And that’s it, super simple and yet so delicious! I would love for you all to check out my YouTube channel, I happened to tape myself making one of the first batches of this smoothie! If you’re planning a gathering and are looking for simple, delicious dishes to serve check out the Life Made Delicious Recipes, they have some gorgeous smoothies! Mmmm! Looks good, my friend! Stunning photography too! Looks good and sounds yummy. We enjoy smoothies in our household. I love it, I am such a smoothie fan, and this looks so good! Guest what I’m having for lunch today?! I’ll be trying this with my soy butter. Thanks. Oh and your photography shots are great by the way. YUM! It looks delicious and refreshing. I promise it’s worth taking the 5 minutes to throw together, kids think I’m a genius! Amazing photos! I recently hated Peanut Butter, but I tried it in a smoothie a few months ago and it was delicious! I will certainly be trying this for my slow mornings. That’s really cool Ashleigh, I’m actually like that with Tomatoes. Don’t really dig them by themselves but love them in things. This looks so delicious! 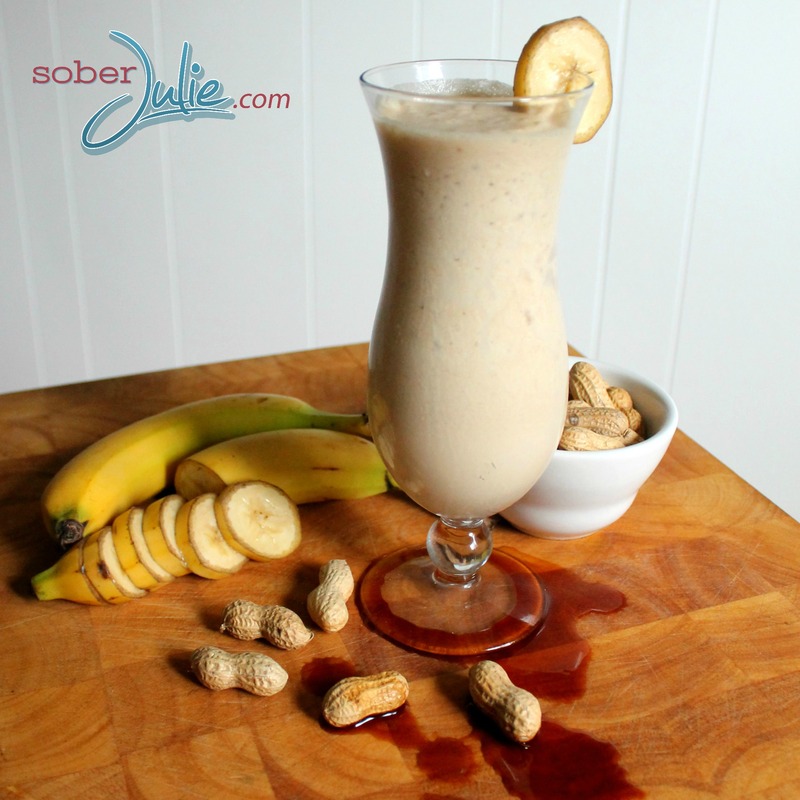 I’ve never had peanut butter in a smoothie, but I keep hearing so many great things about it that I want to try it! Delicious … I am going to try this recipe for my little boy. Thanks for sharing. 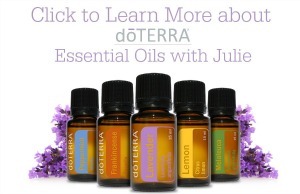 no problem Oriana, can’t wait to be sharing even more recipes! hahaha so glad to hear that!! I’m glad I found this recipe. I love the photo and this looks like a good recipe to try. You could perhaps freeze the banana if you want it cold without adding additional ice. This sounds so yummy. What is the calorie count?? You have got to be kidding! There are more calories in this drink than most people should consume in an entire day, let alone one drink. 2/3 cup = 10.7 tablespoons. Peanut butter is 94 calories per tablespoon and 72% of that is fat (721 calories in this recipe), so there are 1,003 calories of peanut butter alone in this drink. An average banana has 105 calories. A cup of milk has 146 calories (1% would be 103). Two tablespoons of vanilla extract are 72 calories. Therefore the total calories of this drink are 1,326 and more than half of those calories are from fat. You could get almost the same flavor from this smoothie by using only a couple of tablespoons of peanut butter and would save about 800 calories. Better yet, use a couple of tablespoons of almond butter and you would be getting healthy omega-3 fats instead. We make smoothies daily here. Peanut Butter Yogurt is one of my kids absolute favorites. Perfect to fuel their school day! This sounds delicious, but I have to ask…why does it look like the glass is standing in blood? If the drink is that dangerous, I’ll just admire the picture. Adding a tablespoon of unsweetened cocoa gives it a yummy chocolate flavor with no added fat or calories.